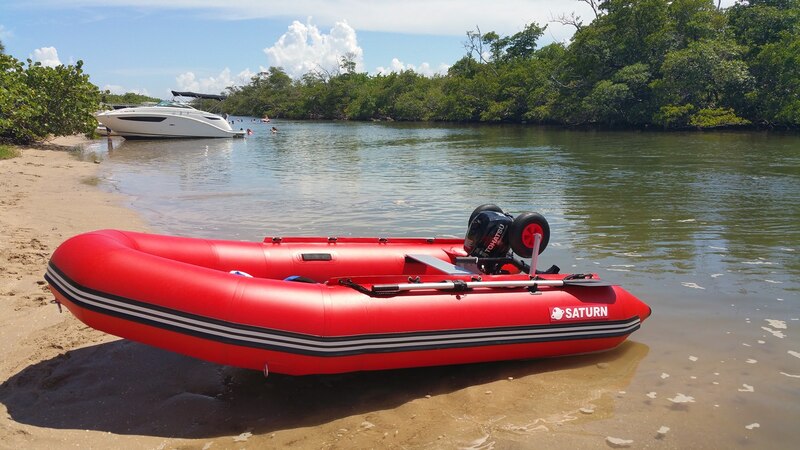 BoatsToGo - Blog About Inflatable Boats, Inflatable Rafts, Inflatable Kayaks And More... :: Recent customer's review of Saturn SD365 inflatable boat. 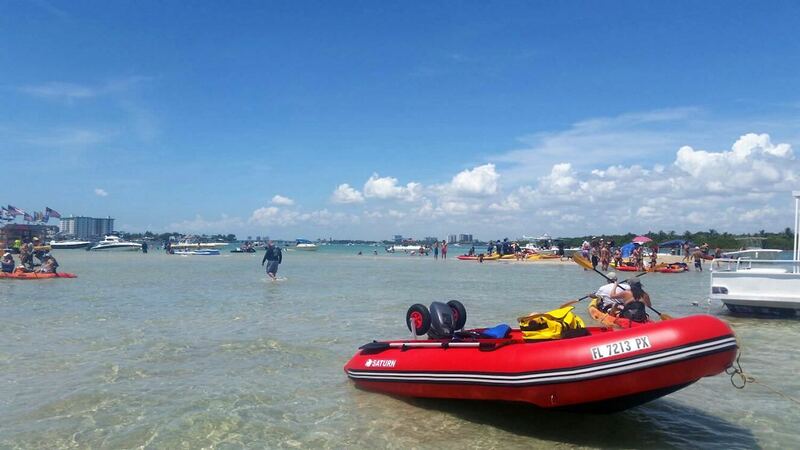 HomeBoatsToGo - Blog About Inflatable Boats, Inflatable Rafts, Inflatable Kayaks And More...Recent customer's review of Saturn SD365 inflatable boat. Recent customer's review of Saturn SD365 inflatable boat. 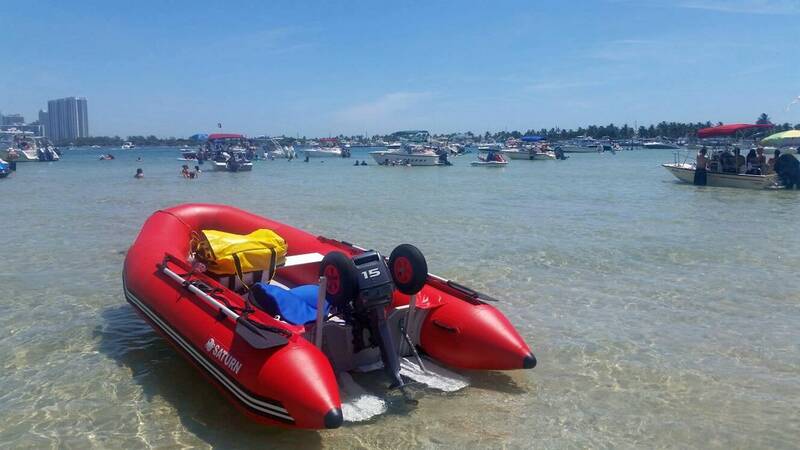 I purchased the Saturn SD365 inflatable boat in May of 2015. Prior to owning this boat I had purchased an Intex mariner 4 but promptly returned it since I did not feel safe on it. When I made the switch to the SD365 I immediately felt a lot safer due to its design. The transom can handle much more power so the motor does not flex under the boat, nor does the boat seem to get as overwhelmed by waves. 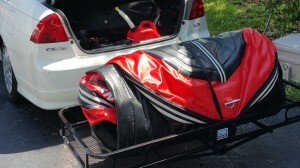 I installed the hitch on my Honda Civic and placed the cargo carrier on the back. When the boat is deflated it fits perfectly on the cargo carrier. I use straps to tighten it down to the carrier when travelling. I place my outboard (2 Stroke 15hp Yamaha) motor in the trunk of the civic along with all the accessories. This combination saves me a lot of money. I do not have to pay extra tolls for a trailer axel. I also do not have to pay the extra cost of purchasing and registering a trailer. I also do not need a gas chugging truck. As mentioned before, there is also the space savings. The boat itself is a lot of fun on the water. People frequently approach me to ask me questions about it. One person even asked me facetiously if I kept this boat in the back of my civic, to which I replied, actually yes, I do in fact have a civic. He couldn’t believe it. 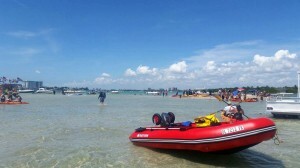 The boat is fairly easy to set up and take down. It takes about 30 minutes to set up between two people with the inflatable floor. This is with both people using electric pumps. Take down takes about half the time. My other recommendation to those who are looking to buy a Saturn SD365 is to get a good motor, at least 9.8hp or more. Any less power than that will probably not get the boat on a plane. I originally had a 3.5hp Tohatsu but became frustrated with how slow the boat would go. I also installed Maxi Lifters to get the boat on a plane quicker and have found them quite useful in this regard. I will probably set up some experiments to compare performance with and without the lifters at some point, but I definitely noticed a difference in the ease with which the boat would plane with the lifters installed. Also, the dinghy wheels are a must! Dinghy wheels make moving the boat to the car way easier. It is too much of a hassle otherwise. As of right now I have had the boat for 8 months and have thoroughly enjoyed it. It has enabled my wife, dog, and I to go on adventures with very low cost. I recommend it to anyone who needs to save on space and money but still wants to get out on the water. People frequently approach me to ask me about the boat and are shocked to find out we can be out on the water for such a low cost and with nothing more than a Honda Civic for transportation.